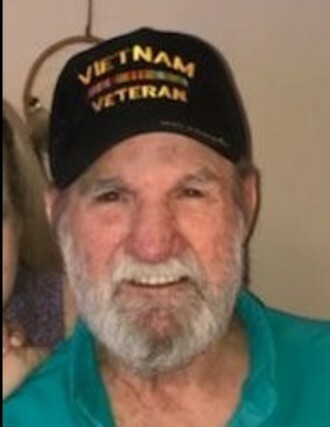 Smithland, KY Michael Emory Strickland, age 72, died at his home in Smithland, KY Thursday, February 7, 2019 at 12:52 a.m. He was employed at CRST Trucking Company for 16 years. He was of the Baptist Faith. Michael served in the United States Army during the Vietnam War from 1967-1969. Michael is survived by his wife of 43 years Sally Allen Strickland of Smithland, KY, two daughters Bethany Strickland of Smithland, KY and Shelia Strickland of Clinton, MO. Two step sons Jerry R. (Bobby) Thompson of Ledbetter, KY and Kelly Scott Thompson of Woodstock, GA. One sister Linda Parker of Amarillo, TX and one sister in law Mary Pace and her husband Jimmie of LaCenter, KY. Seven grandchildren and one great grandchild. He was preceded in death by one sister and his parents Emory and Nadine Strickland. Visitation will be Saturday morning, February 9, 2019 after 10:00 a.m. at Morrow Funeral Chapel in LaCenter, KY. Funeral Services will be Saturday morning at 11:00 a.m. with Military Honors. Interment will follow at Mt. Pleasant Baptist Church Cemetery.